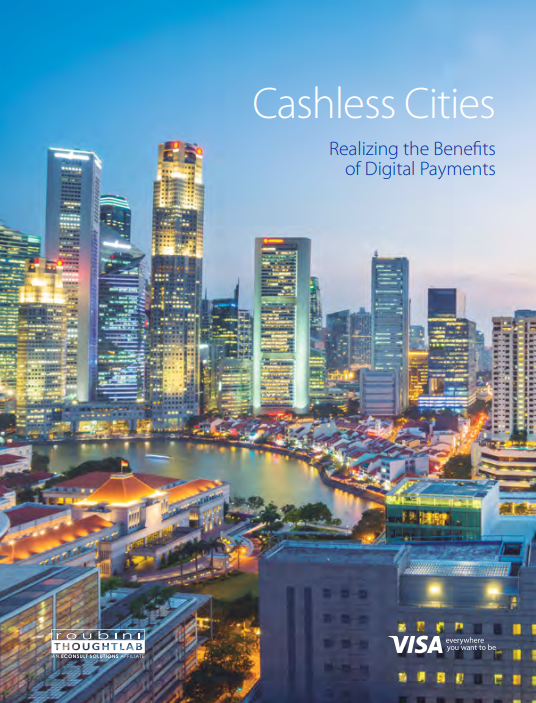 Cashless Cities: Realizing the Benefits of Digital Payments | Econsult Solutions, Inc.
With 60% of the global population expected to live in cities by 2030, how will going cashless enable a city to drive more value to citizens, businesses, and the government? To answer that question, VISA commissioned ThoughtLab to quantify the potential benefits of moving from physical money to digital payment systems in 100 cities around the world. After analyzing the cost-benefits of eschewing cash for each city stakeholder, our ThoughtLab team found that increasing digital payments could result in total direct net benefits of US$470 billion per year across the 100 cities. That boils down to about $4.7 billion in net benefits to each city per year—the equivalent to about 3% of each city’s average GDP. Conducting surveys of over 3,000 consumers and 900 businesses in six benchmark cities around the world. Gathering supplemental data from the World Bank, the Organization for Economy Co-operation and Development (OECD), and other secondary data sources. Categorizing, analyzing and benchmarking the degree of digital payment adoption across 100 cities. Modeling the cost-benefits of moving to digital payment systems in 100 cities across 80 countries. Applying the National Institute Global Econometric Model (NiGEM) to forecast the potential economic effects of going cashless. Our findings were conclusive: no matter where they are on the digital payments maturity curve, cities will reap many benefits from reducing their use of cash. To help city leaders realize these benefits, the report provides targeted areas for improvement and comprehensive calls to action.